This is Lady! 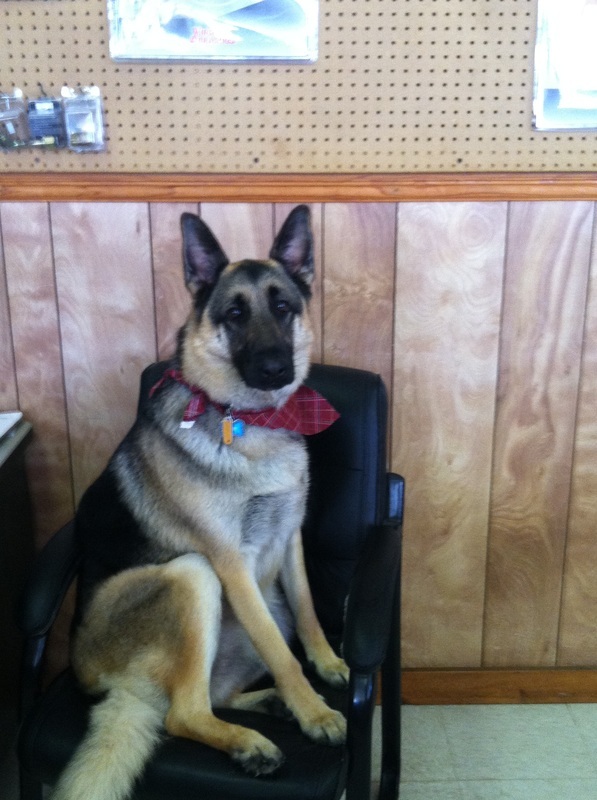 She is actually runs the place! She LOVES people, but please be cautious entering the building with another furry friend :).